Lot 59 Early 1960s BR (WR) Q/R poster "Train Travel Second to None... Western Region Blue Pullman". 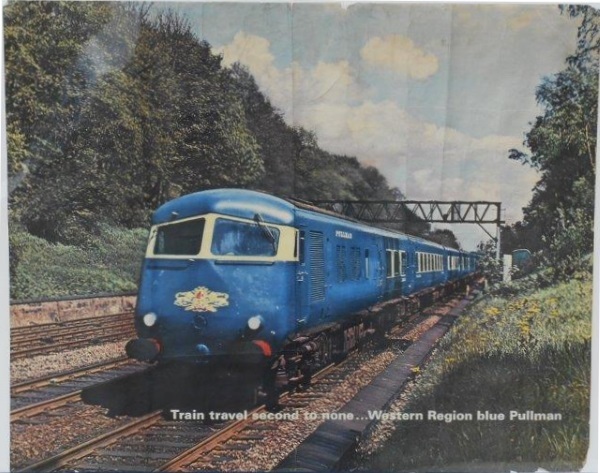 A photographic image of a Blue Pullman train in Sonning cutting near Reading. Generally good condition, with a top edge loss and a few tears?